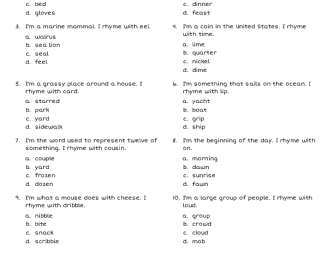 In this worksheet, students read riddles to try to figure out the mystery word. The clues include words that rhyme with the mystery word. Students will not only learn rhyming words, but they will also improve their pronunciation and reading skills. 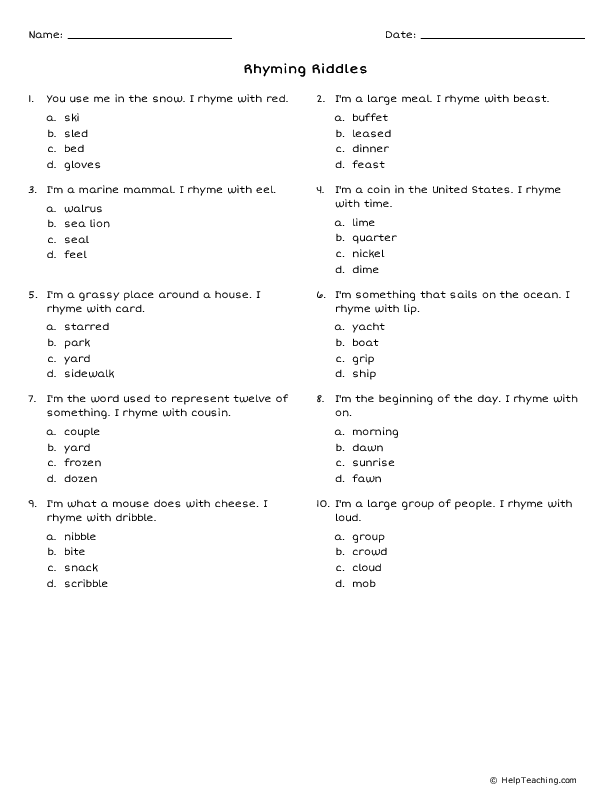 Find more rhyming worksheets on HelpTeaching.com.